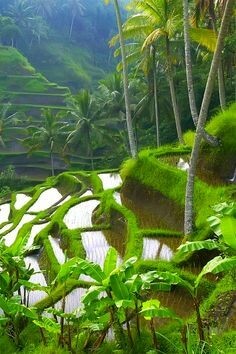 There are so many beautiful places to visit here in Bali that if you haven’t been here before it can be hard to know where to begin and which will be the right fit for you or your family. 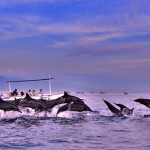 Here is our guide to our top eight holiday destinations in Bali. 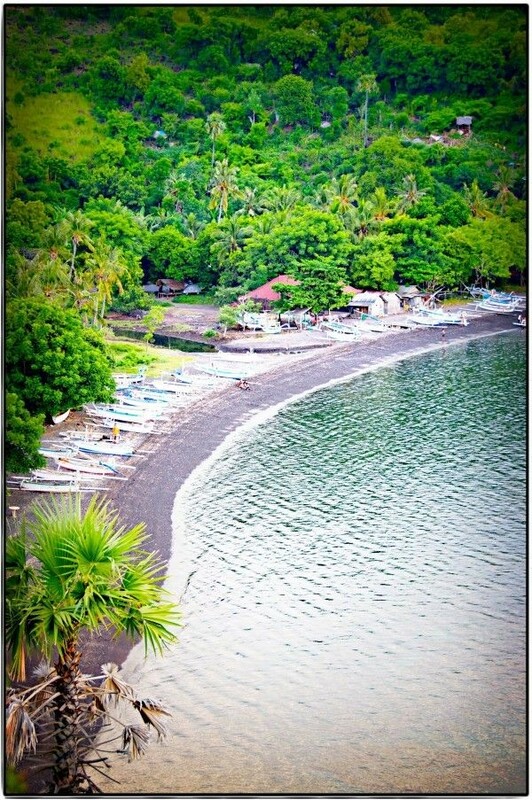 Amed, a series of small villages on the east coast of Bali, has a succession of small, scalloped, grey-sand beaches and is a lure to tourists wanting a bit of peace and quiet due to its relaxed atmosphere, beach bungalows, laid back dining, world-class diving and excellent snorkeling. Be sure to dive in Tulamben to see the US Liberty wreck if you get the chance. Once a sleepy little village between Seminyak and Canggu, Berawa is quickly changing and developing but retains it’s easy, chilled vibe. Café culture is huge in Berawa with new ones with fantastic healthy food opening all the time. Bunaglow Living is certainly one of our faves and be sure to check out their home store too. The newly opened vegan Peloton Supershop serves food even carnivores can’t resist and there are restaurants with food from around the world popping up all over Berawa. It has a great beach for surfers that is a favorite with the locals at sunset. Canggu is a beach area with several surf breaks situated about fifteen minutes north of Seminyak before Tanah Lot, and quickly becoming one of the hippest areas in Bali. Think surfers, custom motorbikes, trendy, healthy cafes, cool, laid-back beach bars, rice-paddies, organic markets and yoga. There is even a skate-bowl! Old Man’s happy-hour is definitely not to be missed and people come from miles around for the live music on Sunday nights at Deus. With cool boutiques opening up all the time, even the shopping is getting better here. 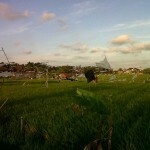 Soon there will hardly be a reason to leave Canggu! 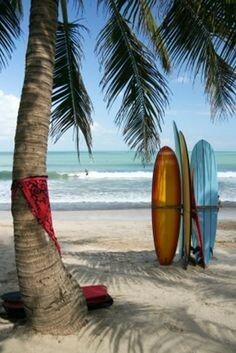 Kuta is certainly Bali’s most famous beach resort destination and continues to attract backpackers and tourists from around the world. 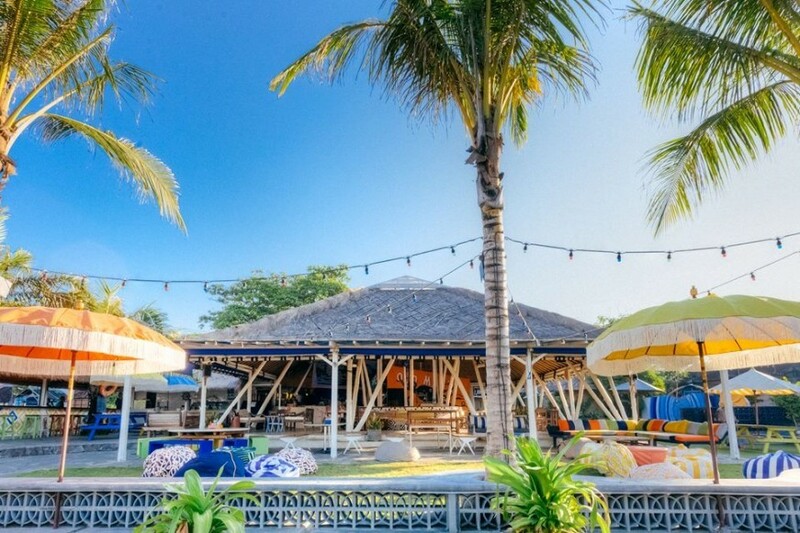 Once upon a time a quiet, charming fishing village, Kuta Beach has definitely witnessed a massive transformation in recent years and now is packed full of accommodation, shopping and dining options. Today there is a thriving bar and nightclub scene in this tourist hub. 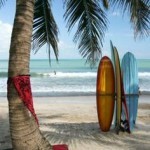 A multitude of budget options make Kuta a favorite with backpackers. 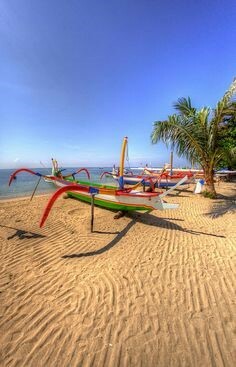 Situated on the north coast of Bali far away from the crowds of the touristy south coast, Lovina is the place to come if you want some serious time out and tranquility. 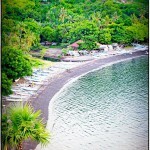 It is made up of a string of villages along the coastline with black sand volcanic beaches. 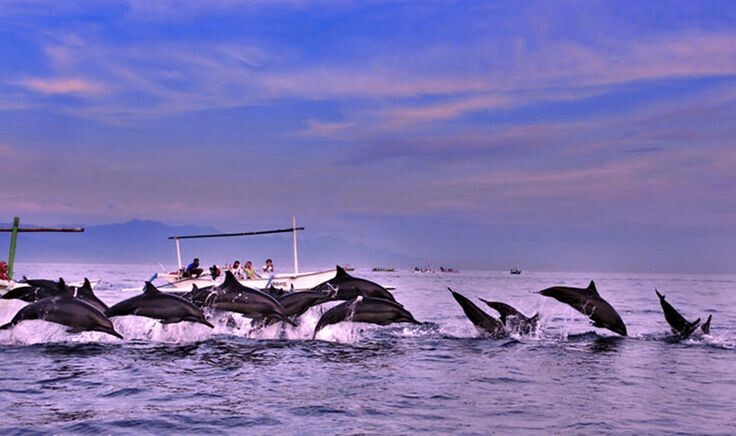 The main attraction being the bottle-nosed dolphins who have made this their home so be sure to go dolphin watching on a local fishing boat. Fantastic diving and snorkeling is not far away in Pemuteran and local hot springs and waterfalls are a short drive away. 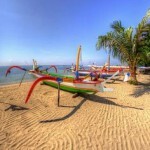 Sanur has a relaxed, coastal ambience and attracts repeat visitors and young families year after year. Situated on the east of the island, it is a former fishing village that retains its charm and is easy to walk around. Plenty of restaurants, hotels, shops and bars to keep the whole family happy. We certainly recommend hanging out at the beach at sunset and renting a kayak like the locals do. Massimo is a fabulous Italian restaurant with a fantastic gelato bar that is definitely worth a visit. 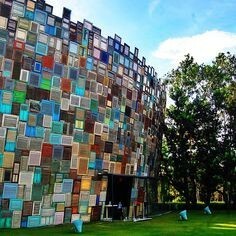 Hip and trendy Seminyak on the south coast is definitely the most fashionable area in Bali. 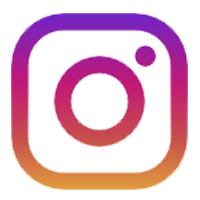 It attracts a huge number of tourists who are drawn to its luxury resorts, fine restaurants with cuisines and chefs from around the globe, glamorous spas, trendy nightclubs and high end fashion boutiques. 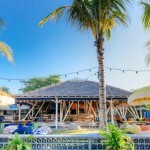 Its beach clubs are fast becoming the places to be seen at sunset with The W, Ku De Ta, and Potato Head being some of the most popular. 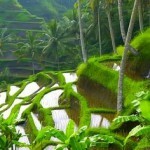 Ubud, home to the Balinese Royal family, is thought of as Bali’s cultural heart. Nestled in the cool mountains about an hour north of the south coast and is a flourishing centre for crafts. The surrounding villages specialize in everything from wood carving and stone carving to silver and gold jewelry and art. Famous for its markets and art shops, Ubud attracts a more artsy, hippy type of traveler. 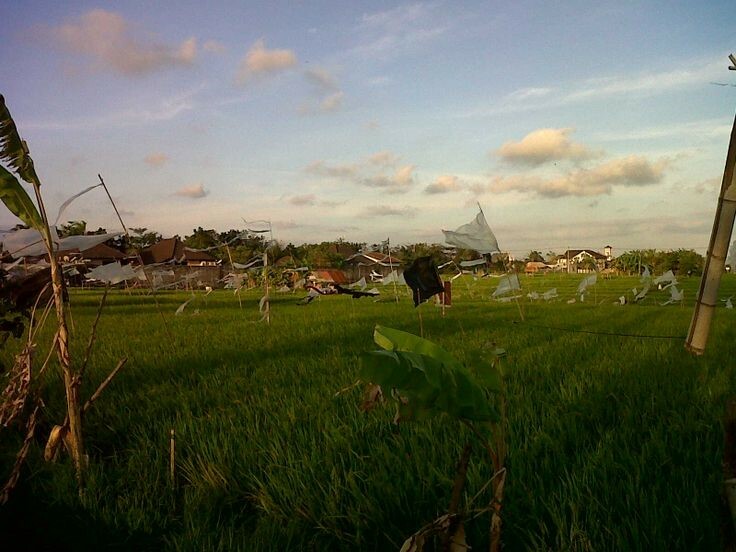 Be sure to go on a rice paddy walk or bike tour and indulge in some relaxation at one of its many spas. A Mecca for yoga bunnies, with a multitude of yoga centers and retreats, and tons of amazing, healthy cafes and restaurants to hang out in and meet fellow travelers and yogis.